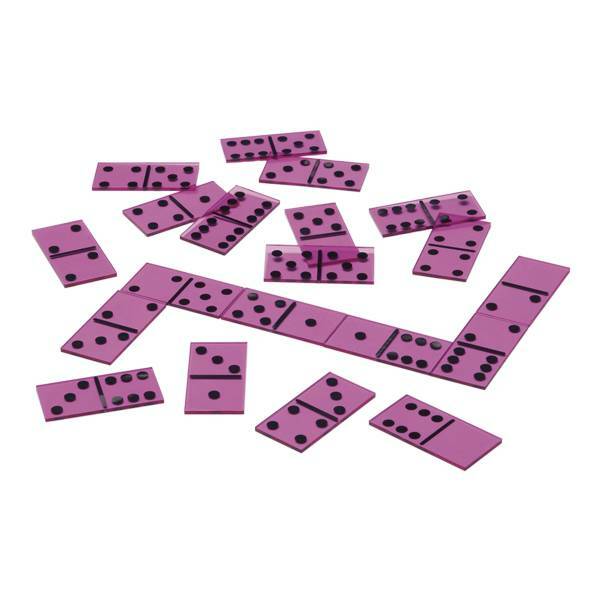 Set of 28 dominoes for overhead teaching. These 28 dominoes contain tiles from one to six. This product is a very useful resource for classroom learning activities.